“They just don’t make them like they used to” is a phrase that’s often bandied about when referring to the differences between older, more solidly built structures and those that deploy more modern materials. That could be good or bad, depending on what your preference is, or what you’re hoping to accomplish with a project. 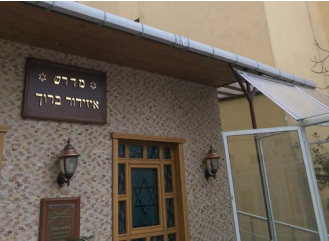 Sometimes the old way can present issues that newer construction does not, as was the case for the Or Yom nursing home in Turkey, which was installing an Elpas Real Time Location System (RTLS) for the protection of residents and staff. Spread out over 11 floors in two buildings, integrator Sigmamed was confronted with two very different structures. The old building boasted walls that were more than 2.5 feet thick and featured a layout with shared bathrooms and a central dining hall. The newer structure, meanwhile, offered individual rooms with en suite lavatories. There was also a separate Alzheimer’s unit. Fortunately, Sigmamed was able to easily configure the Elpas system so that it would work in the older building as well as the more modern one. What it came down to was the use and positioning of infrared (IR), low-frequency (LF) or radio-frequency (RF) readers, depending upon the location. By working within the confines of the existing architecture, the integrator was still able to deploy the RTLS so it best served residents and staff — no matter where they were within the nursing home. In the older section, IR readers were strategically installed in each room, while a single LF reader was positioned outside the shared bathrooms. An RF reader located in the center of the dining hall provided coverage for an area where residents gathered, so if an alarm occurred here, staff would be able to easily find the location and respond. 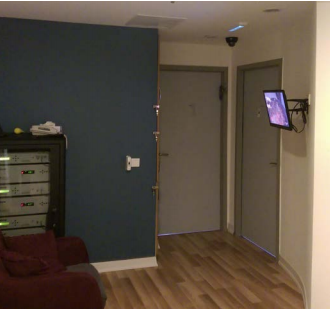 Those residents living in the newer building were covered by LF readers positioned at the entrances within the living space, allowing staff to pinpoint a distress call coming from the living space or the adjoining bathroom. All the information came back to three nurse’s stations or onto their mobile phones. 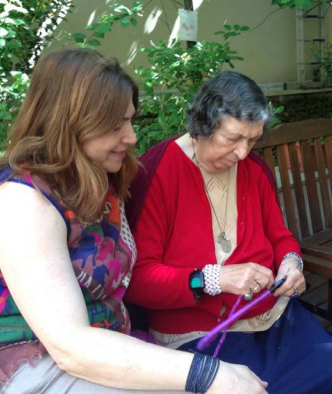 Using a single system with accommodations made for the buildings themselves, staff at Or Yom was able to monitor calls from residents as well as locate fellow nurses, doctors and caregivers or respond to Code Blue calls through the use of active ID bags. With the aging infrastructure that makes up most healthcare, education and even corporate settings, the likelihood of working with multiple structures from different eras and featuring diverse materials keeps growing. It’s good to know that important systems such as real-time location are also adaptable, so with some careful planning, coverage can be comprehensive and effective. A large percentage of any access control project is in the installation, especially the wiring. This is one of the reasons behind the popularity of wireless locks in our industry. But most customers prefer the traditional wired approach for their critical access control doors, and with newer control panels the idea of “embedded lock power management” is helping to save on costs. In previous generations of access controllers, the controller did not switch the electronic lock’s circuit directly. The panel’s small on-board relay was used as a pilot relay to switch a larger relay, located on an external board. This external relay was then used to energize or de-energize the actual locking device. Having this external device in the circuit helped to protect the control panel against damage due to lock inrush current and other transients. The external board also had two other jobs – to provide individual fuse protection for each lock circuit, and, to provide a means of accomplishing fire override on a per-lock basis. Fire override is obviously important from a life safety perspective. Upon an alarm signal from the building’s fire alarm system, selected locks must revert to their “fail safe” position, allowing free egress. This interlock must be accomplished in a manner that does not involve any software or firmware – it has to be “hard-wired” into the circuit or device. In some locales an additional fireman’s “key switch” override is required – when the main fire alarm signal is deactivated, locks must not go back to their locked positions until a fireman activates a manual key switch, signifying that the building is all clear. Lastly, this external board normally featured socketed relays, to help reduce service costs. It’s much easier to replace a single relay than to replace an entire board. But these external boards add tremendous cost to an access control project, not just in equipment cost, but in wiring labor and also in panel real estate required. Every lock output needs to be wired up twice – first from the controller to the external relay board, and second, from the relay board to the actual locking device. And in some cases a separate enclosure may be required for the board, or, the lock power supply enclosure grew in size to accommodate the boards. To help reduce these costs, the idea of “embedded lock power management” was introduced. Basically it means taking all the functionality of these external relay boards, and adding it directly onto the access controller, eliminating the need for the external board. Duplicate lock output wiring is eliminated, and the whole system becomes much easier to maintain and troubleshoot. The access controller must have individual protection on each lock output circuit, and must have a means to accomplish fire alarm interlocking that does not rely on the controller’s firmware. And, the controller must be sure to feature socketed relays, to keep repair costs down. In some cases the controller can even have two distinct lock power feeds, with the ability to select which one to use on a per lock basis – for example, a 12V and 24V feed can be used for the controller, and at each lock circuit you can choose between a 12V and 24V supply voltage. Embedded lock power management – give it a try. The end result is a more streamlined installation, using less panel space, and, you’ll enjoy tremendous installation savings. Let us know if you’ve had some experience with this method of installation.